Looking for more great juju?? 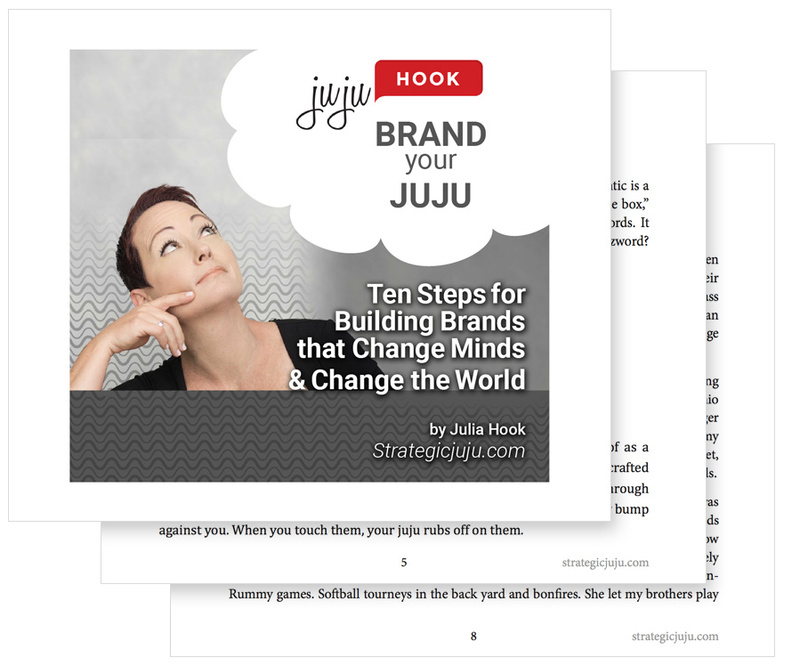 I’ve created an eBook that tells you in detail what branding your juju (your organization’s innate superpower) is all about. You’ll learn what makes a great brand great, and find a step-by-step process for building yours. More good juju, you say?? Click here to follow the Strategic Juju blog. You’ll get tips and advice on building brands, news and updates about brands with good juju (and some examples of bad juju), and a periodic look at what I like to call a true, badass brand. So follow me. It will be a wild ride.